It is probably not a bad thing that U.S. President Donald Trump recently dispatched Jared Kusher, his son-in-law and his Administration’s jack-of-all-issues, to Iraq. As one of the few White House advisers implicitly trusted by the president, Kushner may be the person to quickly get the President’s ear about what may become the president’s first major, consequential decision for U.S. policy in the Middle East with long-term implications: America’s role in Iraq. The battle to retake Mosul from the Islamic State (ISIS) seems to be going well, albeit quite slowly. The virtual house-to-house fighting has taken its toll on Iraq’s U.S.-trained and much improved security and police forces. ISIS fighters have been doggedly ruthless, resorting to the most desperate measures, such as submersing themselves in Mosul’s civilian population for protection, to deter Iraq’s forces. Nevertheless, the outcome appears all but clear – ISIS will be evicted from Mosul and all of Iraq. Only the eviction date remains to be decided, and no doubt the rising toll of casualties, both civilian and military. 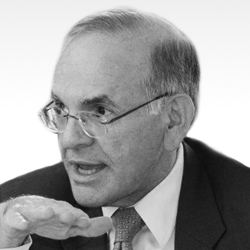 But a major question for Baghdad, Washington, and Ankara hangs over the fray – then what? Iraqi Prime Minister Haidar al Abadi has made it clear that Mosul’s future is a question for Iraq alone. Meanwhile, government army and security forces have entered the city, the Kurdish peshmerga militias are poised just outside, and the Iranian-backed Popular Mobilization Units (PMU), or Hash’d al Shabi, comprised almost entirely of Shi’a fighters, battle just to the south of Mosul. Turkey has dispatched a contingent of its army ostensibly for training of Iraqi Kurds and Sunni Arabs, but Turkish President Recep Tayyip Erdogan has gone on record saying that he won’t allow Mosul’s ethnic composition, of which Turkoman comprise a significant portion, to be disturbed. The concern is over who will govern Mosul, a city made up largely of Sunni Arab Iraqis, with significant Kurdish and Turkoman minorities. Yet, the Iranian-backed and-trained PMUs have made a substantial contribution to the fighting in Mosul’s Ninewah province. If they make a move toward Mosul as the battle’s end approaches, it will surely ignite not only another ethnic war in Iraq but also likely draw in Turkish and potentially even peshmerga forces, not to mention Iran. One can envision a reprise of Iraq’s 2004-2009 civil war during the U.S. occupation, only without the moderating influence of 140,000 American troops. And that is where America’s role may again prove indispensable. 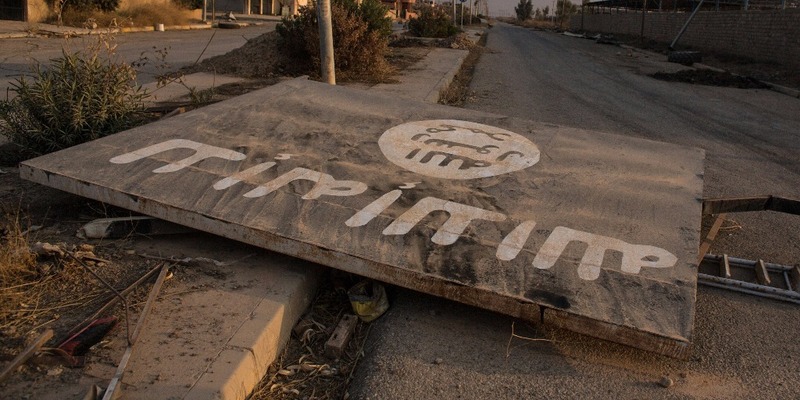 Retaking Mosul and expelling ISIS from Iraq must not be the end of U.S. engagement. Even President Trump, who previously claimed both support for and opposition to America’s 2003 invasion, now agrees that the troop withdrawal of 2011 was a mistake. Neither he nor Iraq can afford to repeat it. 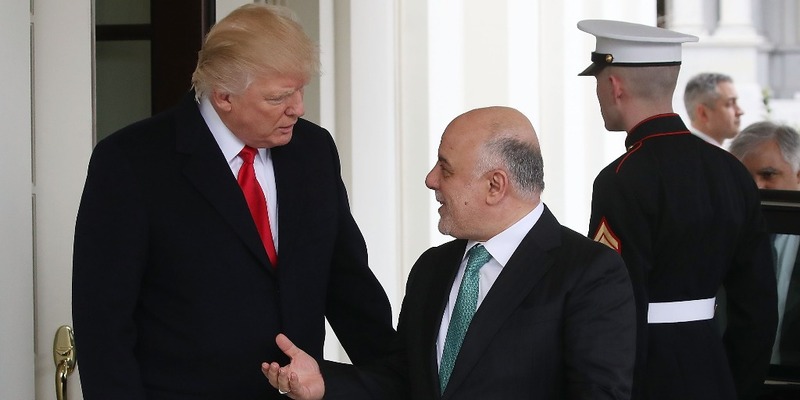 In his visit last month to Washington, Iraq Prime Minister Abadi told President Trump and even declared to U.S. media that he favors U.S. forces remaining in Iraq after the recapture of Mosul. Even if Trump accepts the need and commits, he should expect that there will be strong opposition in Iraq, just as there was in 2007 when the U.S. launched its surge campaign. Much of that will come from Iraq’s majority Shi’a population, especially the likes of Iraqi Shia cleric and military leader Muqtada al-Sadr, as well as the many militia groups that make up the PMU, including the Badr Organization, Mahdi Army, Asa’ib Ahl Al Huq, Keta’ib Hezballah, and some 25 others, many of whom are well familiar with the U.S. from the occupation era. On the other hand, Iraq’s Kurds and Arab Sunnis would likely welcome an American presence. And that is where America’s diplomatic and political prowess must also be applied to the Iraq conundrum. Iraq’s sectarian and ethnic divisions remain as irreconcilable as ever. Hoping for some deus ex machina to repair them, most especially in the near-to long-term, is imperiling the Iraqi people and preventing a land otherwise rich in natural and agricultural resources from progress and prosperity. It is time for the U.S. and its many European and Arab allies to begin encouraging Baghdad and the various sides towards the establishment of a decentralized federation in which the Kurds would enjoy increasing autonomy, bordering on independence, and the Arab Sunnis would acquire autonomy comparable to that of Iraqi Kurdistan today. Even PM Abadi has spoken of greater self-governance as the only way of overcoming Iraq’s sectarian and ethnic rivalries. One should not minimize the specifics of the “break-up.” Issues such as borders, oil resources, status of Baghdad, other minorities, and land titles in disputed border areas would doubtlessly prove difficult. Oil resources would present a major challenge since nearly all of the country’s currently known reserves lie in Kurdistan and Shi’a-majority Iraq. Neither would be willing to give them up. But, perhaps, an arrangement in which the Kurds and Shi’a Arabs agreed to build Iraq’s oil refineries and pipelines in and through Sunni Arab lands would mollify the latter and ensure they still profit from Iraq’s best known natural resource. The U.S. and other Western, Gulf Arab, and Asian nations could play a vital role by investing in such undertakings, as well as providing the much-needed assistance that will be required to rebuild infrastructure and cities like Mosul. Along with increased self-governance, each autonomous area would be permitted to retain and/or create its own militia. Any American military presence would be confined to those autonomous regions where they were invited, most likely Iraqi Kurdistan and predominantly Sunni Anbar and Ninewah provinces. American military presence in those regions would serve to help train, equip, and advise the militias as well as to quell any possible tensions among the federated regions, including militia confrontation. These were all functions carried about by U.S. forces and diplomats attached to them until the withdrawal in 2011. Iraq’s national army would serve all of Iraq and represent all ethnic and religious groups and would also be able to tap into American assistance. 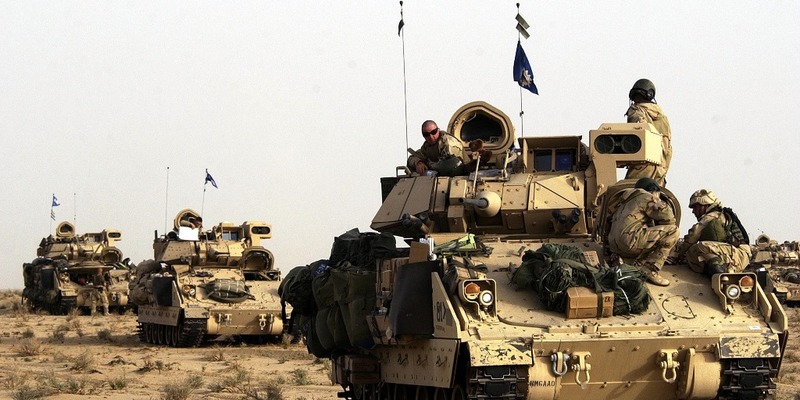 To overcome the political obstacle that allegedly torpedoed America’s remaining in Iraq after 2011, the governments and legislatures of the newly created autonomous regions would be able to authorize the American military presence. The Shi’a-dominated Iraqi parliament, which would be as unlikely to authorize a presence today as it was in 2011, would not need to take a vote if the regional governmental authorities accepted. The objective for the U.S. would be to help end the conflicts plaguing this nation for so long, begin to build stability, and re-establish an American presence. The objective should not be to expel the Iranians, who also have a strong interest in seeing a stable next-door neighbor. But a U.S. presence would balance the Iranians and allow all of Iraq’s groups to better decide their futures without allowing any one foreign power an overbearing presence or interference. An American presence would also mollify Turkey as well as Iraq’s Sunni Arab neighbors, prevent the rise of a successor to the Islamic State, and better address Syria’s civil war and extremist groups. The U.S. currently maintains at least 6,000 troops in Iraq, within the 5,000-10,000 range recommended to former U.S. President Barack Obama by U.S. commanders and senior diplomats before his decision to completely withdraw U.S. forces from Iraq at the end of 2011. That remains the range within which the U.S. ought to be able to address the needs of the self-governing autonomous regions of Iraq post-2017. No less important would be the concomitant diplomatic and developmental assistance from the U.S. if the U.S. is to exercise both its hard and soft powers to help right Iraq. This solution to the Iraqi dilemma has been in play since the 2003 American invasion and even the British occupation of Iraq of the 1920’s. It’s time for it be given a chance. All other alternatives have been tried without success. It has persisted because it may be the only solution. By bowing to this inevitability, perhaps President Trump can help make Iraq great again.